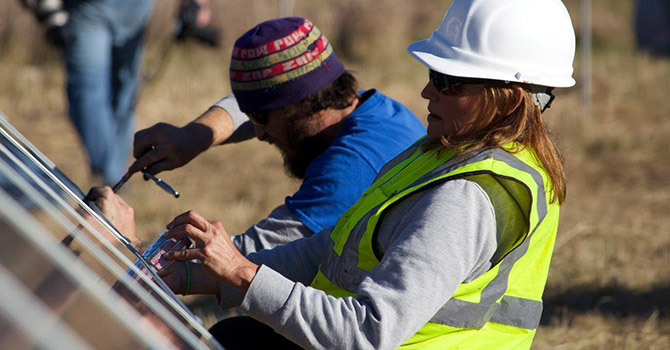 Given the urgency of reducing carbon emissions to slow climate change, and the magnitude of the problem, the program leverages its limited philanthropic funding by supporting efforts that address systemic and structural barriers to a clean energy transition. 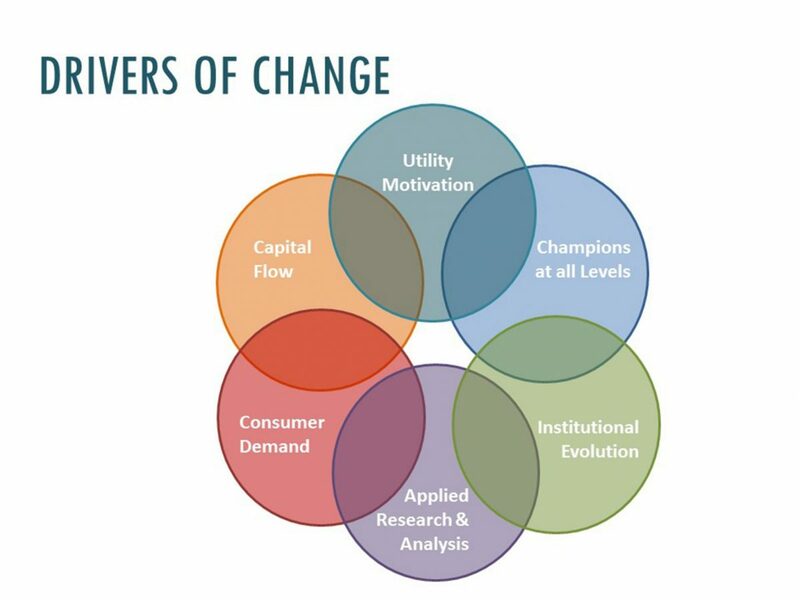 Our program directs grantmaking primarily toward key drivers of change, including: capital flows, utility motivation, growing consumer demand, applied research and analysis, institutional evolution, and champions for clean energy throughout the economy. Our program seeks to foster supportive policy and regulatory environments at state and local levels. In keeping with the Foundation’s Strategic Framework, the program’s approach is grounded in continuous learning and adaptive action as the economic, political, and social context in which we operate continues to evolve. The program’s direct grantmaking is focused primarily in Minnesota and supports work throughout the Midwest through grantmaking partners. 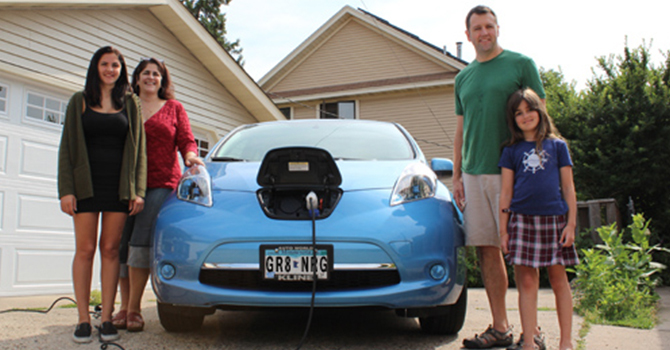 Power the grid with more carbon-free energy sources. Electric power generation must rapidly switch to renewable, nuclear, and other emissions-free sources. In the long term, avoiding the worst impacts of climate change may require capturing and sequestering carbon from power generation or other sources and removing carbon dioxide directly from the atmosphere. Transform sectors such as transportation to run on carbon-free electricity instead of fossil fuels. 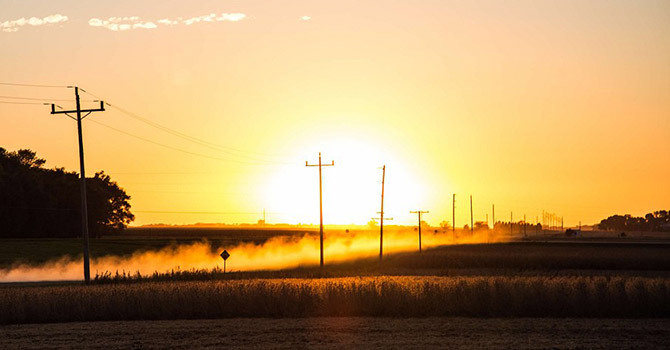 Electric load should be grown smartly: to increase grid flexibility, cost-effectiveness, and reliability, and to maximize the environmental benefits. Increase the efficiency of our built environment, transportation system, and electrical grid. While electrical demand may grow from end uses like transportation, maximizing efficiency in buildings, industrial processes, and in the delivery of energy will enable more rapid and cost-effective decarbonization. 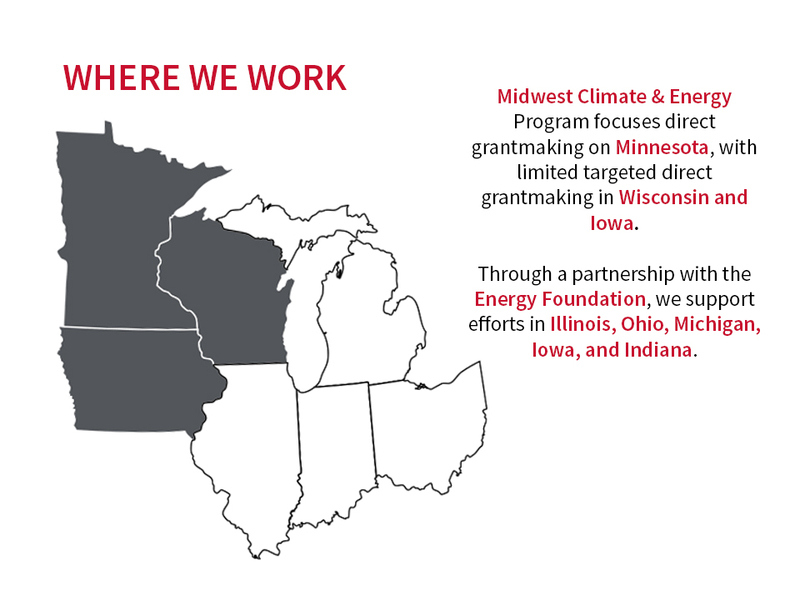 The program’s direct grantmaking is focused primarily in Minnesota and supports work throughout the Midwest through grantmaking partners.